I’m really covered up right now so I thought I’d post a few Photo of the Day features over the next few days to keep you from getting bored. 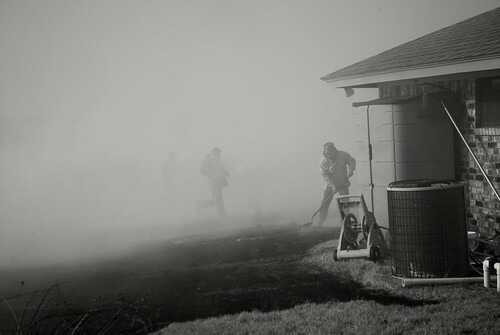 This was from a grass fire back in January. People fought hard to keep this house from being eaten by the fire.